Some people set out to blog a book. I set out to write a blog to establish an internet presence to promote my writing. When I reviewed the posts I had written over my first year of blogging, I realized I had written on a theme consistent enough to book my blog – here it is! You are on a journey. The nature or purpose of that journey comes down to what you choose or refuse to believe. If you’re at that point in life where you’re noticing that things are not working out the way you thought they would, and you’re questioning the beliefs underpinning it all, you’ll find some refreshing insights in this book of reflections. 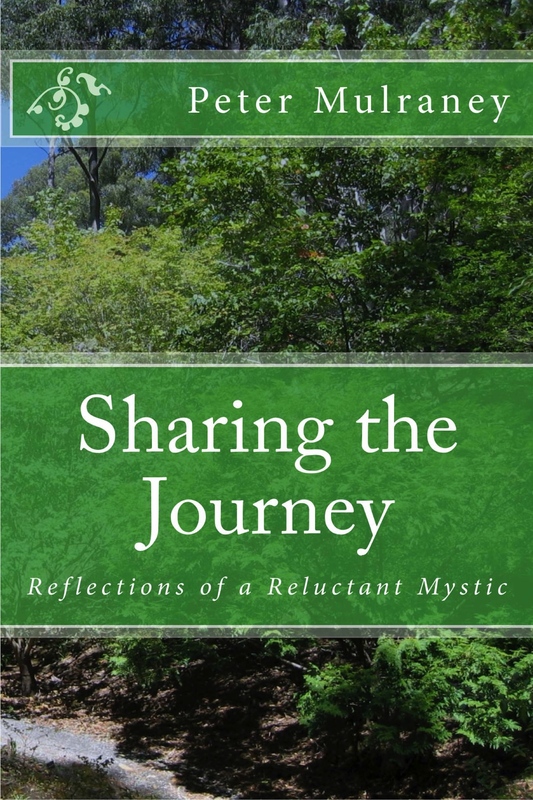 In Sharing the Journey, self-confessed reluctant mystic, Peter Mulraney, invites you to reconsider the journey you think you’re on and lets you know that you are not alone. If you’re not ready to examine your beliefs and push the boundaries of your mental comfort zone, this is not the book for you. If you are ready to take a look at your beliefs and start living consciously, you’ve found a friend for the journey. This book is an edited collection of a year of blog posts with some additional material. This is my first effort at publishing a book with images.